I did a search for RX-8 weight in race trim and couldn't find what I was looking for. Has anybody checked the weight of their full race, stripped and caged RX-8s? 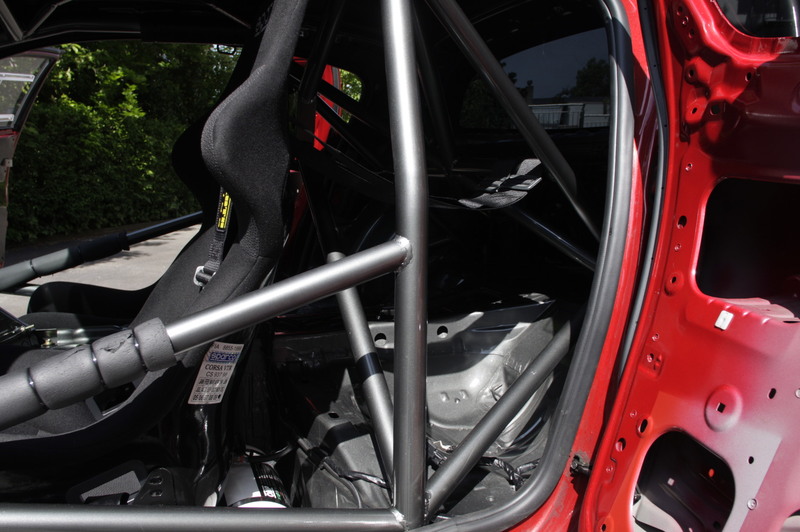 I'm trying to make a decision on roll cage tubing size. Thanks! There are a few threads in the racing section that list various weights of different trimmed cars, some stripped, some full interior, etc. 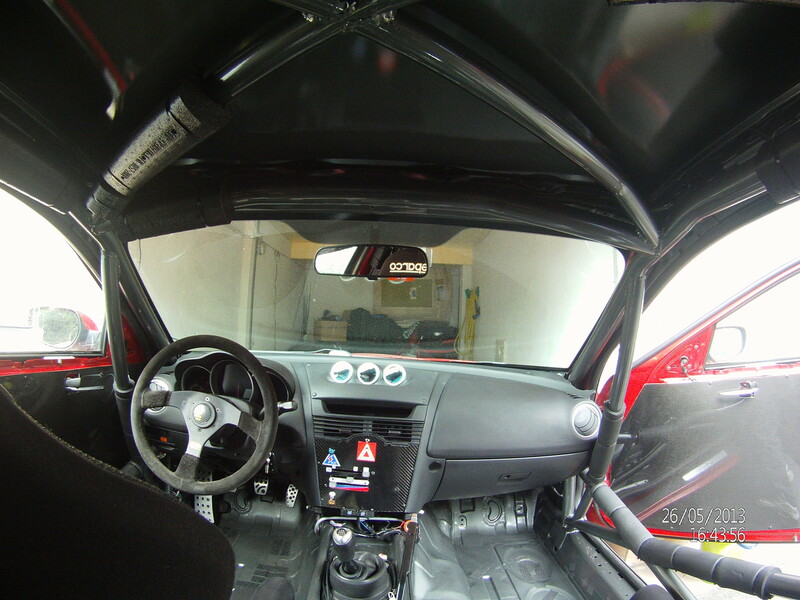 I think even with a GOOD cage you can get an RX-8 down below 2350 plus driver with stock bodywork. That's all lexan, dash gone, etc. Right now we're at 2487, and that's with the fuel quick fill assembly (heavy) and trans and diff coolers plus the seriously well-built Speedsource cage on our leftover Conti Challenge car. I think another 75-100lbs can come off before having to start spending money, even with keeping the coolers. Of course I'm chasing a minimum weight of 2300 WITH DRIVER in SCCA E Production, which ain't gonna happen with this car. 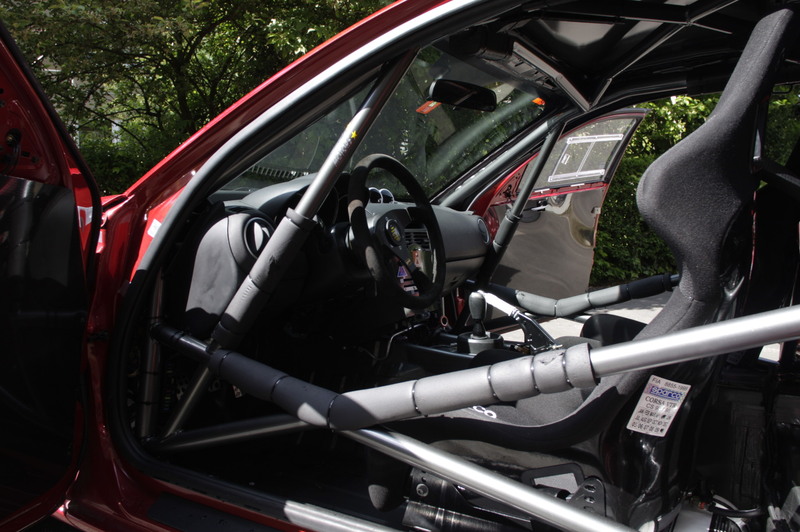 The GrandAm cage is way too stout. Example from a trustworthy source. Last edited by 9krpmrx8; 03-04-2015 at 04:00 PM. I need to improve my search skills. Thanks 9k, you're the man! I'd look at what minimum weight you'd need to hit for your classing anyway and go from there (unless it's unachieveably light - see also SCCA E Prod weight and similar). Most of us end up getting the easy weight reduction stuff out of the way until we're a bit under minimum, then add ballast to meet the minimum spot-on. It's not like the RX8 needs a ton of weight relocation to handle well. Thanks for the tip! I was a little worried about the weight because I want to build a rollcage with 1.5"/0.120" wall DOM tubing. Per NASA regulations, the car must weight less then 3000 lbs for that size tubing. I believe that this easily achievable now. There's a catch though, the car's original balance is going to be a little off due to an LSX swap. I'm trying my best to mount the engine as far back and as low as possible without cutting the crossmember, firewall or trans tunnel (I don't want to go TTU). The car has been stripped down to the bones and I'm eliminating any weight I can from the front and moving it towards the back. I will corner weight the car and see what I can do to keep the proper weight bias. 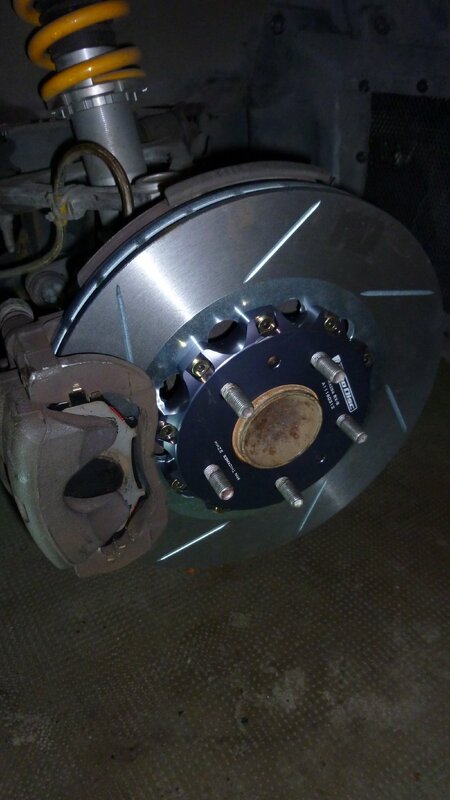 I searched but could not find an answer, what is the top 10 heaviest things to loose on to save weight, I have base 04 already swapped out the driver seat for fixed back and a 6 point. Thank you. How much exactly does the 8 weigh ? Ouch. I'm tracking my DD, a 2005 Base 6MT, and it weighed 3082 with 10 gallons of gas and me in it, almost stock (U1 battery, HKS hi power as far as weight reduction). at 185 pounds driver, that puts my car DRY at 2834 mostly stock. 1242kg all fluids (including 1.5L of oil for the Sohn), half tank of gas. 60kg welded roll-cage, and some modifications to windows, auto-fire extinguisher, no AC, Battery Deka for Harley, OZ Ultraleggera, AD08r 245/40 R18...etc. Interiors looks like in the pics. Last edited by vcoil; 07-28-2016 at 03:22 PM. Rules have a lot to do with how much you can remove and heavily limits you, most classes I know of here in the states are quite restrictive in terms of stock based classes compared to what I've experienced overseas in Asia and in Europe so more difficult to find the weight savings within the rules. The 2004 - 2005 Base model (no DSC) RX-8 6-spd were the lightest around low-mid 29xx lbs as delivered from Mazda. EDIT: A link to stock parts weight is listed in my next post down below this one. Last edited by TeamRX8; 07-20-2017 at 10:53 AM. I am going to have to get my white 2005 Sport model under the knife soon to see where we're going to end up on the scales. This is all great information though!